This stunning home features over 4,000 sq. ft of living space, 2-story entry, 2-story family room, 5 beds, 3.5 baths. You love the gourmet kitchen with custom cabinetry, granite countertops, built in appliances, 48" refrigerator & breakfast bar/island. The formal dining room & family room are beautiful, bright rooms that you&apos;ll love entertaining in! Gorgeous main floor master suite w/whirlpool tub, separate shower, walk-in closet & access to the back patio. 2nd bedrm/office on the main floor features a full bath, hardwood floors & coffered ceiling. Upstairs you love 3 more spacious bedrooms, full bathroom & 2nd floor laundry! Full unfinished basement w/9&apos; ceilings so you can make the space your own. 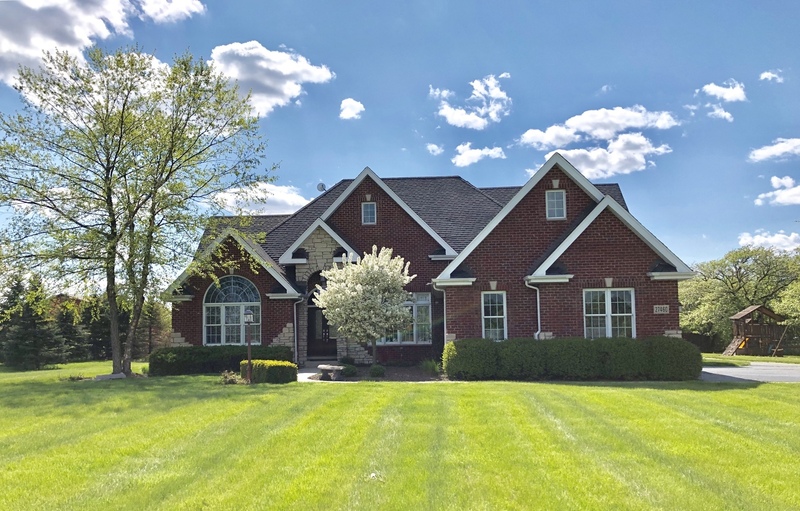 The backyard features stamped concrete patio, heated in-ground pool(20x 40) w/slide & diving board, barn/building(38x45) w/ loft, all of this on 3.28 acres! This home is a must see with so many wonderful upgrades, it won&apos;t last long. Horses Welcome! Schedule your showing today!